Vinhomes P3 interior design with high investment cost because of interior decoration and quality. Each space contains a unique feature. Luxurious living room with bar will leave your guests a little impressed. Pink bedroom girl full of pink also the cute decor. 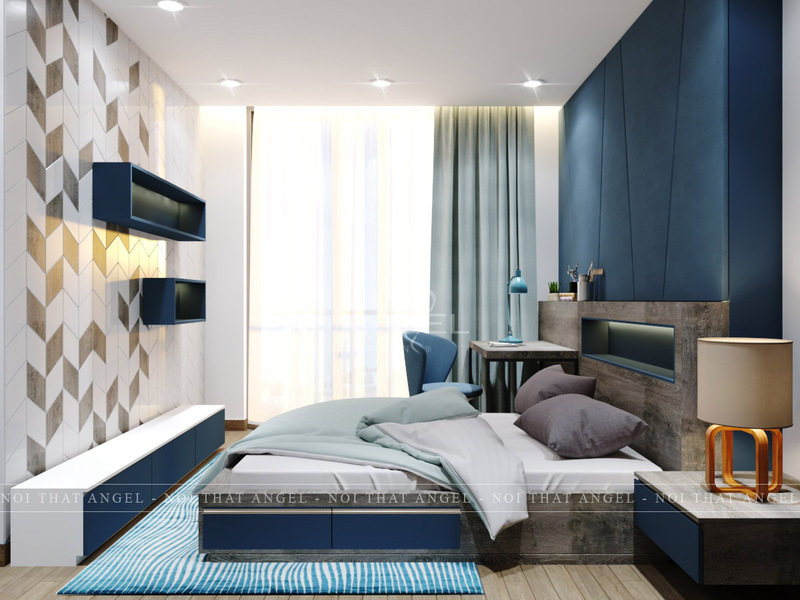 The parent bedroom is a combination of high quality wood and modern motifs interwoven. Space design interior living room. During the day at the Vinhomes apartment, we will receive the best natural light when pulling curtains. Despite the small living room area, the architects have considered and calculated successfully to perfect the face of the apartment. Here, the owner can put a piano for his little girl with a perfect playing space. A bit of light on the TV shelf also helps to increase the luxury as much as you see it! Space design bedroom furniture 1. Sleeping parents bedroom color combination a harmony to create a look. 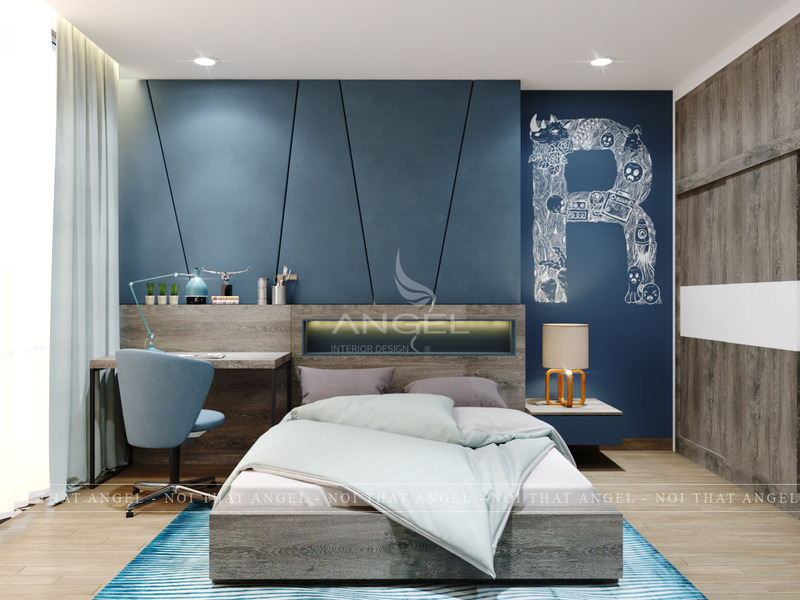 This color tone brings warmth but not too old, which is a combination of dark blue and wood material. A little touch of the blue bed under the theme of the room. A bit of red copper will make the point extremely or in this bedroom space. 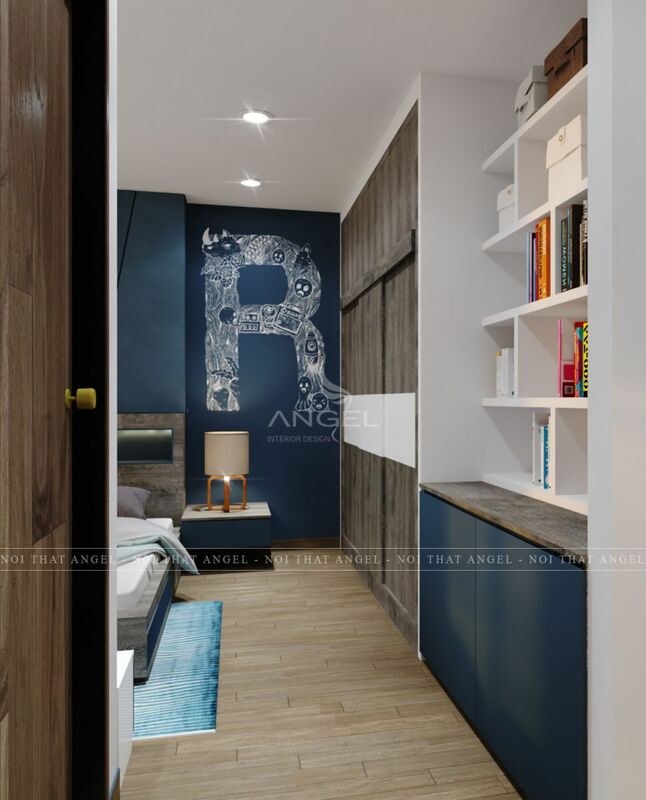 Walls are decorated in a modern, youthful style with the desk next to the bed and the main cabinet is wood. 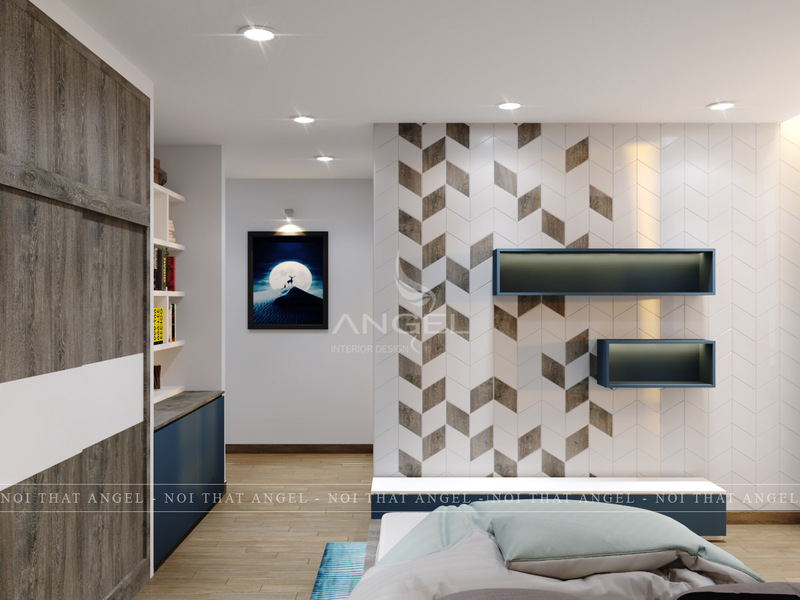 The wall has two shelves for gadgets that are decorated on a simple wall panel but still have their own beauty. Space design bedroom furniture 2.